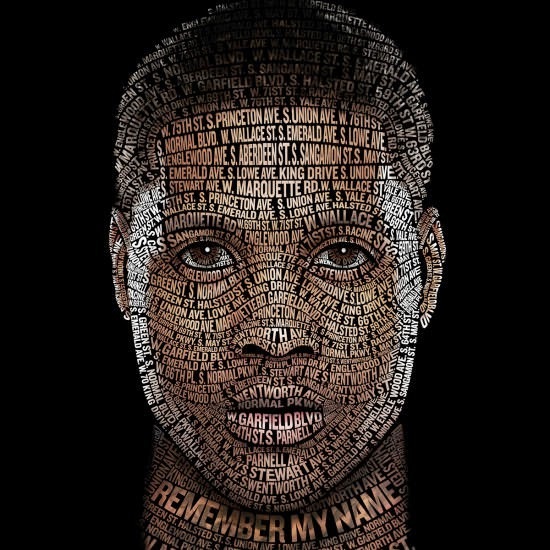 With the streets of his hometown Chicago printed across his face, rapper Lil Durk reveals the artwork for his Def Jam debut album Remember My Name. The project is scheduled to drop on June 2nd and it includes 10 tracks with features from Logic and Jeremih along with production from Young Chop and Paris Beuller. Check out Lil Durk's tracklist after the jump and don't forget to way your thoughts. From the minute he entered the rooftop of The Wit Hotel, actor/singer Jamie Foxx was surrounded and mobbed by beautiful ladies at his private listening party for his upcoming album Hollywood. 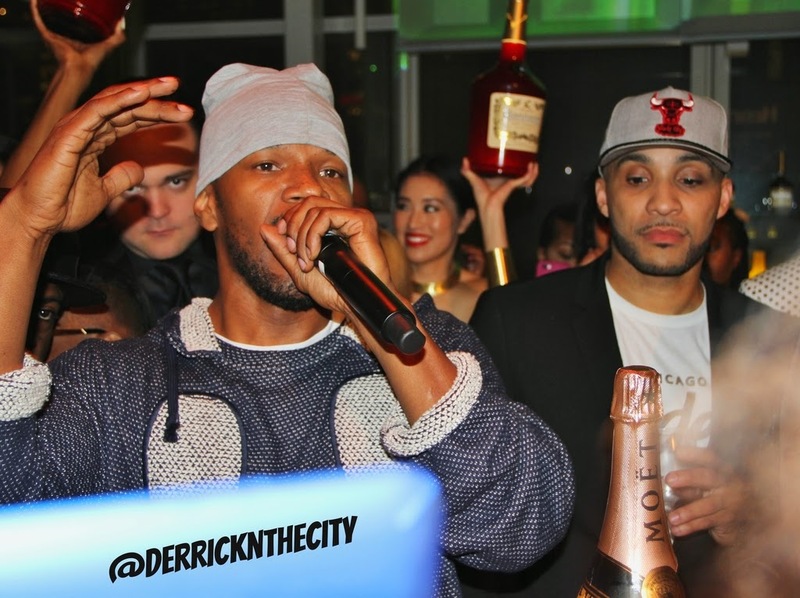 The event took place last night in the heart of Downtown Chicago and it was presented by Hennessy. During the event, the "Blame It On The Alcohol" singer took a gang of selfies with fans and took the crowd down memory lane with hits from his past and present career. Although, he only played two songs from his new project, he kept the party going as he rocked the mic and danced all night long. Before leaving the building, Jamie mentioned his new album drops on May 18th. Until then, check out our pictures and video from the event after the jump and don't forget to leave your comments. 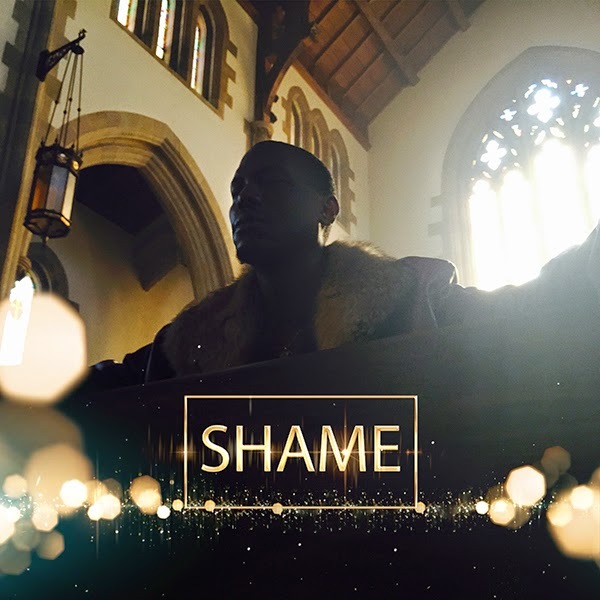 Gearing up for his seventh and final solo album, Tyrese releases the world premiere of his new single called "Shame." It features Jennifer Hudson and its taken from his double LP Black Rose, which is set to drop this summer. Until then, listen to the new single after the jump and leave your comments. Building a brand and taking her game to the next level, Loni Swain is working hard at being more then just one of your favorite voices on WGCI. This past Saturday, the Midday radio host was spotted at Red Pearl Spa in Chicago and was found promoting her new line of chocolates called Loni Loos. Joined by business professionals and other like-minded entrepreneurs, Loni was able to entice her guests and supporters to indulge into her new line of sweets, which she says is an old family recipe. Loni also spoke on her upcoming venture, The Loni Swain Show. She mentioned the show will kick off May 2nd on CLTV and it will focus on people contributing to the fabric of Chicago's communities. Watch the video after the jump and don't forget to check out pics from #Indulge425 event as well. 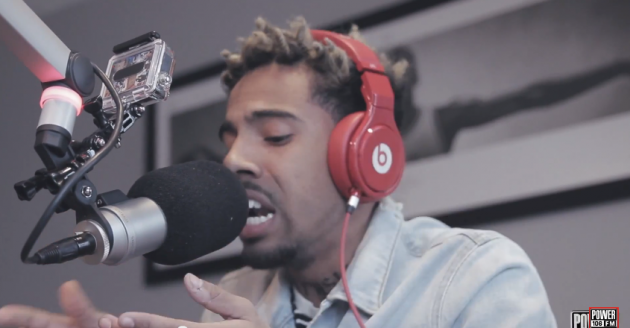 Fresh off the heels of signing with Roc Nation, Vic Mensa stopped by Power 106 in L.A. to talk with Justin Credible. During his visit, the Chicago rapper discussed signing to Jay Z, working with Kanye West and he also showcased an exclusive L.A. Leakers freestyle over Future's latest club banger, "Commas." Check out the interview and freestyle after the jump and don't forget your comments. Chicago rap veterans Twista and Do or Die are back on the scene and reunited for the first time in years for a collaborative EP called Withdrawal, which is set to drop on May 19th. Today, the fellas decides to release the first offering from the upcoming project and its called "Aqua Fina." 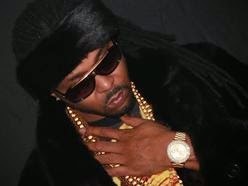 The pimp flow track features Twista, Belo, AK, and Nard but no Johnny P this time, B. Scott is on the hook. Even though Lil Wayne is having a hard time releasing his Carter V album with Cash Money, he's still able to reach his fans while performing in concert. 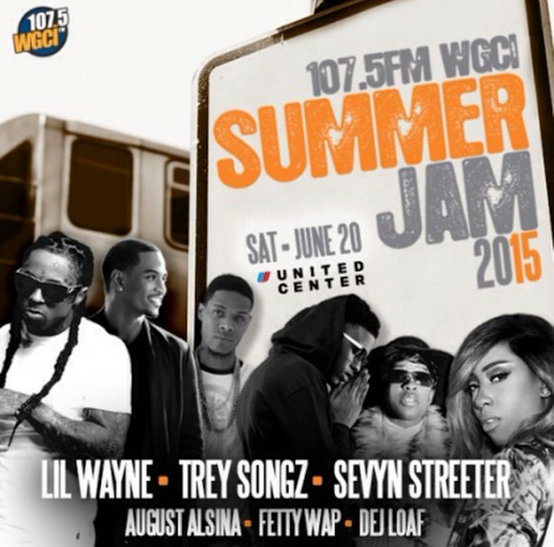 Come June 20th, Weezy is scheduled to headline WGCI's Summer Jam 2015 and he will be joined by Trey Songz, Sevyn Streeter, Def Loaf and more. WGCI made the big announcement this morning, over the airwaves, and the event is set to take place at the United Center in Chicago. Tickets will be available for Pre-Sale starting on April, 24th. Meanwhile, watch Lil Wayne's new video that's directed by Eif Rivera called "Hollyweezy" below. Besides being a Midday radio host on Chicago's 107.5 WGCI, Loni Swain is now set to embark on a new venture - television. Today, Loni took to social media and released information to let her loyal listeners know that she's about to take on a new TV show on CLTV called the Loni Swain Show. "The objective of the show is to promote new positive images of Chicago's vast multi-cultural community by featuring people who are making efforts to change the lives of others and their community." According to Loni's Instagram, the 30 minute urban variety television show is set to air on CLTV, May 2nd. Until then, you can always listen to Loni Swain on Chicago's 107.5 WGCI and iHeartRadio. 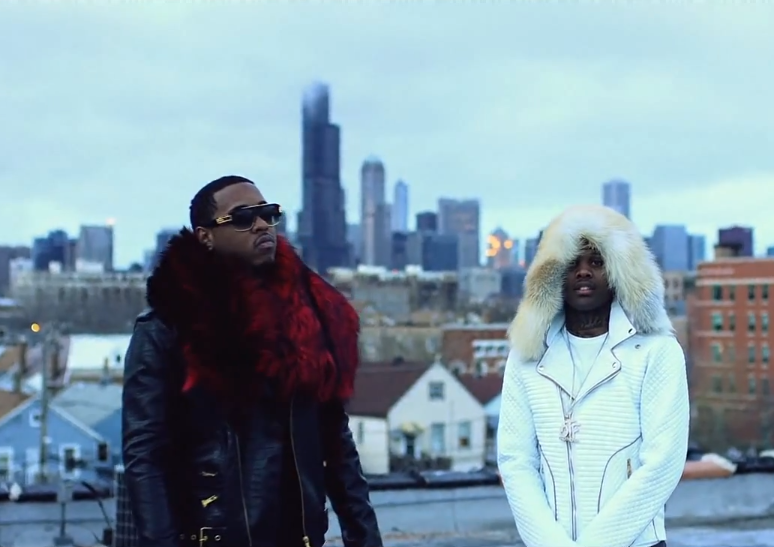 Roaming through the cold streets of the Chi, Lil Durk releases a brand new visual for his latest single "Like Me." Its directed by Eif Rivera and it features R&B singer Jeremih. Its taken from Lil Durk's upcoming album Remember My Name, which is set to drop real soon. Watch video after the jump. Last night, The Weeknd took the stage at Coachella in Cali for the second weekend of this year's festival. 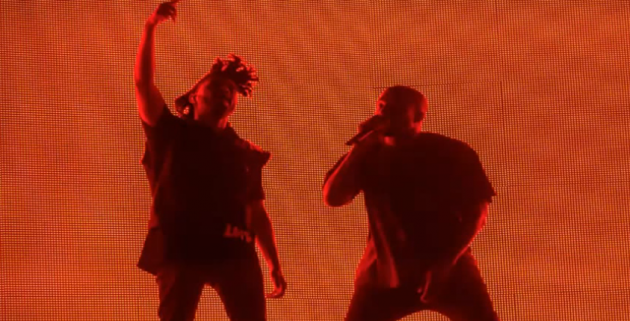 During his set, the "Earned It" singer brought out Kanye West to perform "All Day," "Black Skinhead," and more. Check out the performance after the jump and don't forget your comments. Many have called her a social media maven and even compared her to the likes of Oprah and today, Karen Civil stopped in Chicago with her Live Civil Brunch tour. The event took place in Chicago's West Loop area at Red Kiva and it was presented by Charismatic Solutions and Zo Enterprises. During the event, Karen touch on topics about her marketing success and she was joined by a guest of other panelists from Chicago's industry, which included WGCI's Loni Swain and Lorin Patrick. Besides being successful, Karen Civil also talked about the struggles of being an African-American business woman in the music industry. Catch the video and pics from the event after the jump. 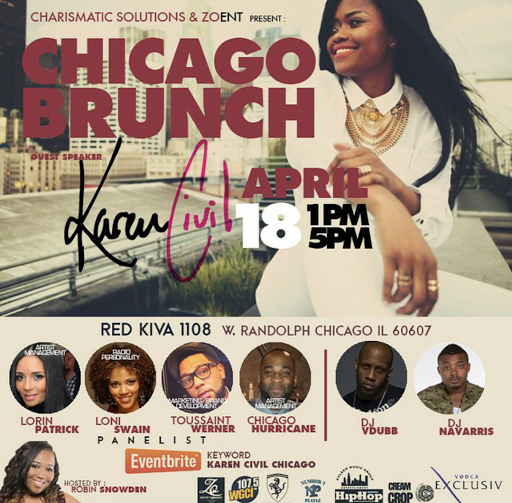 She's been compared to the likes of Oprah and called a social media maven and come April 18th, Karen Civil is set to hit Chicago with her Live Civil Brunch tour. The event is scheduled to take place at Adrianna's Banquet Hall in Markham, IL and its presented by Charismatic Solutions and Zo Ent. During the upcoming event, Karen will be speaking on marketing and branding and she will be joined by guests panelist WGCI's Loni Swain, Lil Bibby's manager Lorin Patrick and a host of others. To purchase general admission tickets for this event, go to Evenbrite, keyword: Karen Civil Chicago. 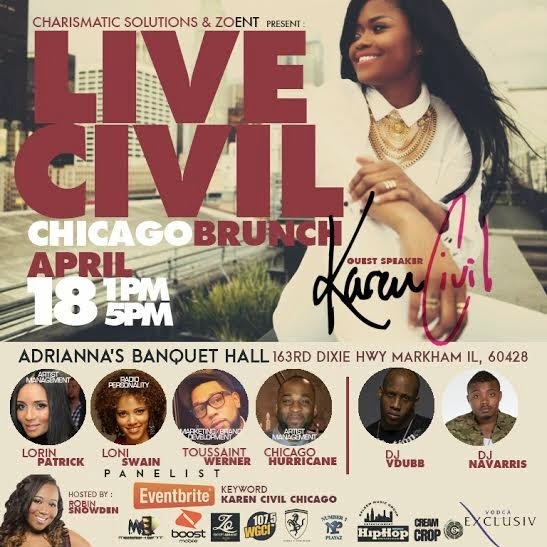 UPDATE: The location for Karen Civil's Live Civil Brunch tour in Chicago has been changed. It will now take place on April 18th at Red Kiva, which is 1108 W. Randolph in the City's West Loop area. 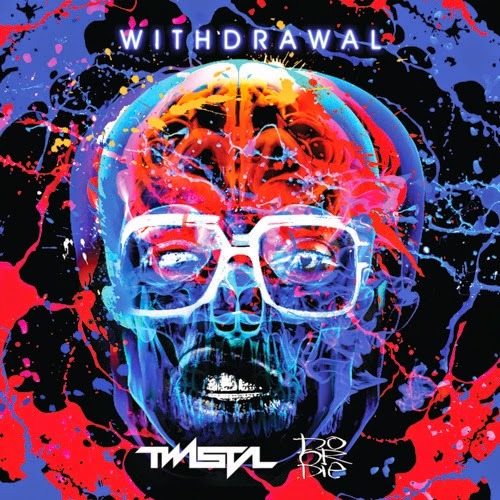 Earlier this week, Twista and rap group Do or Die were found in Chicago filming a new video called "Aqua Fina," and now, we've found out that visual is from their upcoming collaborative project called Withdrawal. Twista took to social media earlier today to confirm the six-song EP and it will drop on May 19th. So far, all members of Do or Die will be involved but no word on R&B singer Johnny P.
Watch Twista's announcement after the jump and don't forget to leave your thoughts and comments. 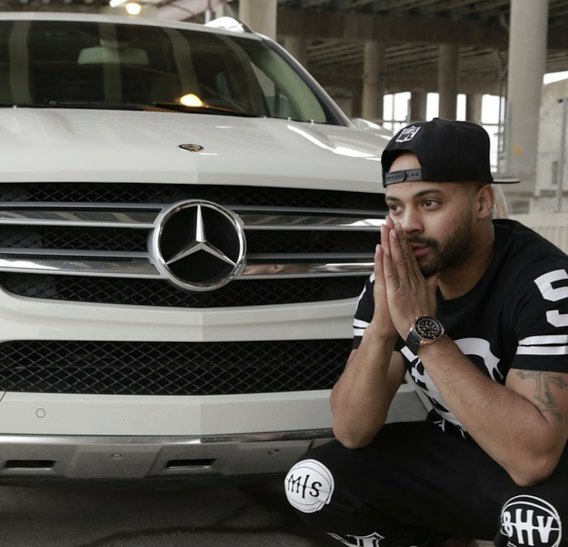 [New Video] White James "Alert"
While the streets waits on his new mixtape FOO FOP to drop. Chicago rapper White James delivers a brand new video. Its called "Alert" and its directed by Passport Tracy. Watch visual after the jump. [New Music] White James "Alert"
Continuing to feed the streets until his new mixtape FOO FOP drops this year, Chicago rapper White James delivers new music to hold you over. Its called "Alert" and its ready for your enjoyment below. 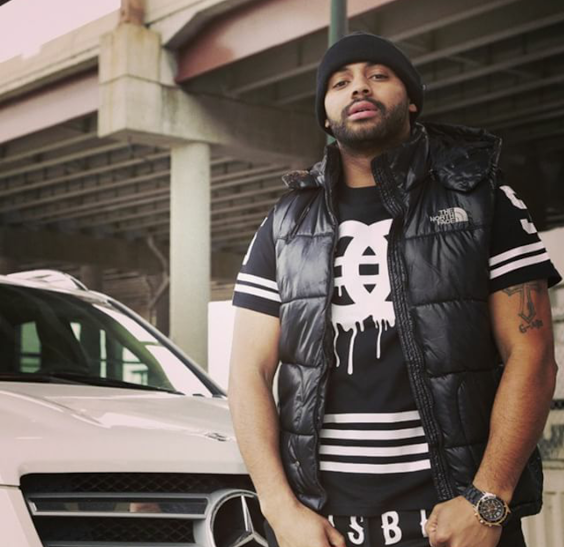 Following up his WSHH premiere video "All I Want Is Money," Butta Da Great returns on the scene with his latest track "Hella Rackz" and gives it the visual treatment. Its filmed by Alvin Elmore and it features Katie Got Bandz. Watch it below and don't forget Mr All I Want Is Money is coming soon. 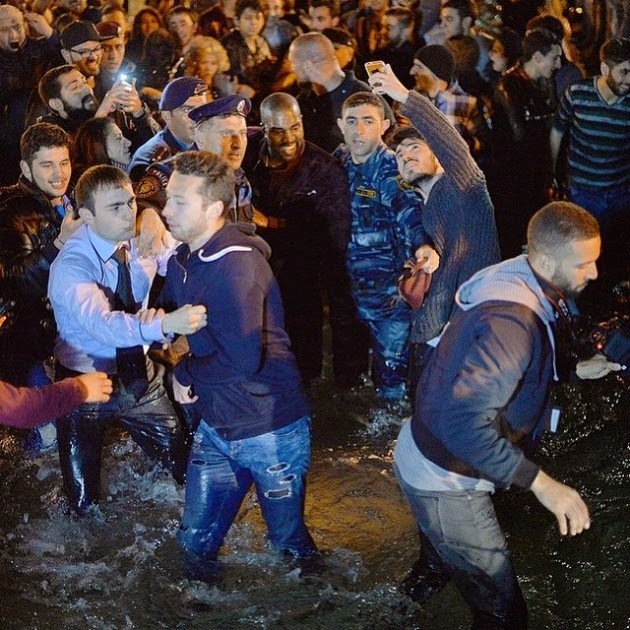 While visiting Yerevan, Armenia with the Kardashians, Kanye West put on a free concert for his fans overseas. During his performance of "Good Life," the Chicago rapper decided to jump into Swan Lake and he was joined by hundreds of fans. Eventually, the police shut down the concert and Kanye was escorted out the lake. Watch the video after the jump and don't forget to leave your comments. Twista & Do Or Die Set To Release New Video "Aqua Fina"
In the past, Do Or Die and Twista have been known to make magic together in the studio with songs like "Po Pimp" and "Yo Body" and now, the boys from Chi-town are reunited and set to do it again. 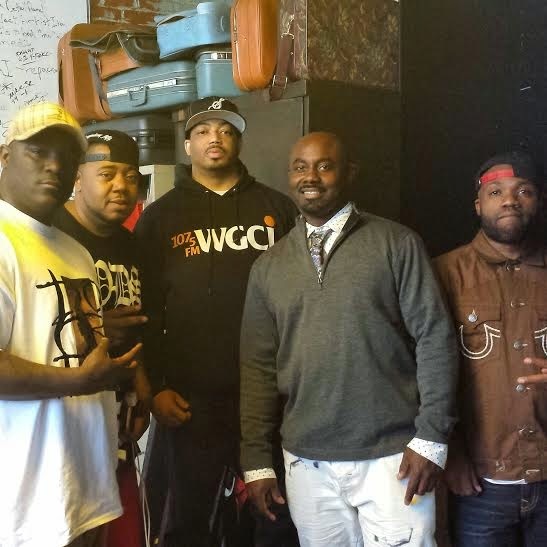 Today, we caught up with the hip hop legends in Chicago on the set of their brand new video. They mentioned the track is called "Aqua Fina" and its set to appear on both of their upcoming projects. We also talked with AK of Do Or Die about their longtime friend Johnny P, who was not on location and rumored to be on life support. AK told us that Johnny was recently in the hospital but now he's back at home doing good. 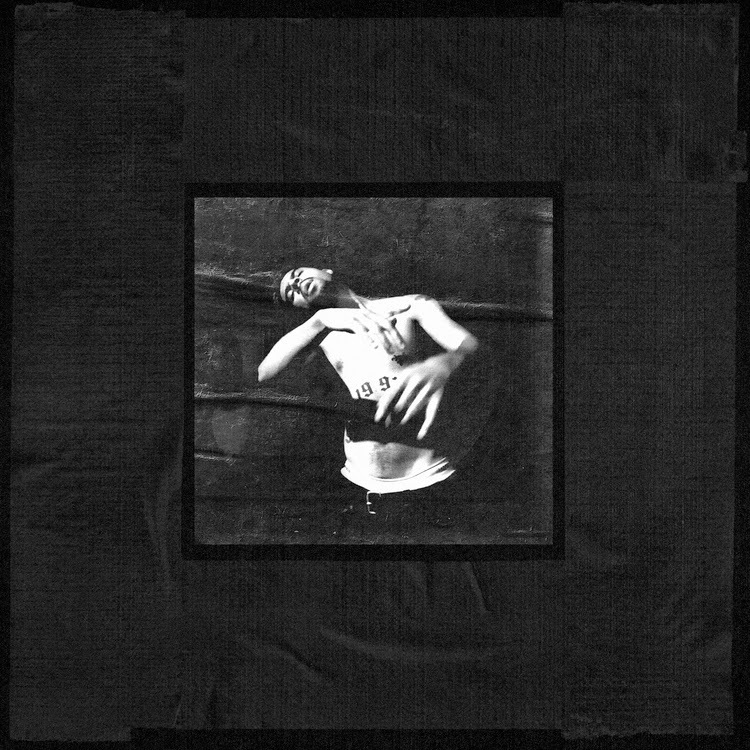 Back in February of 2015, Vic Mensa caught national attention when he joined Kanye West on SNL to perform "Wolves." Now, the Chicago rapper reunites with Kanye and this time its for something brand new. Today, Vic delivers "U Mad" and it's produced by Stefan Ponce, Smoko One, DJ Phelps and Kanye. Take a listen to the track below and don't forget to leave your thoughts and comments. 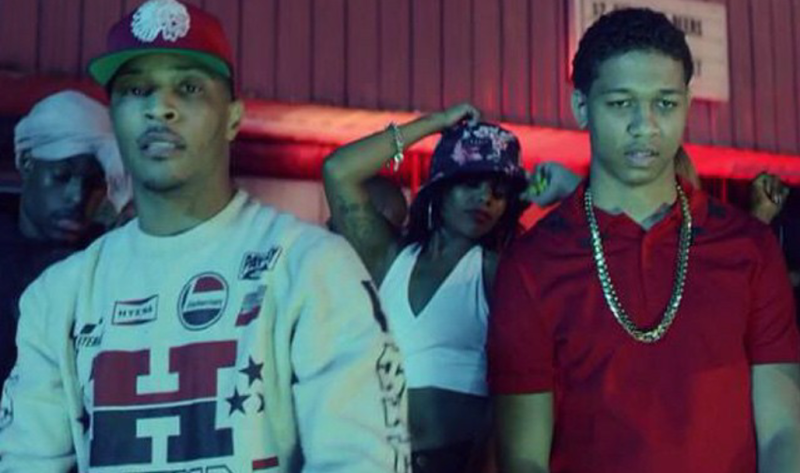 [New Video] Lil Bibby "Boy" feat T.I. Parking lot pimping with a gang of ladies, Chicago rapper Lil Bibby revisits his Free Crack 2 mixtape to bring you the brand new visual for his latest single "Boy." It features Atlanta's T.i. and its directed by PhillyFlyBoy. Watch Bibby's new video after the jump and don't forget to leave your comments. 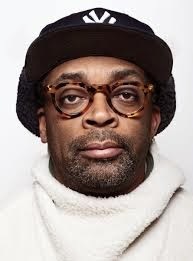 Over his illustrious career, Spike Lee has been known to shoot many of his movies in Brooklyn, NY, but on his next film, he maybe shooting in Chicago. According to The Wrap, the "School Daze" and "Do The Right Thing" director is set to shoot a film called Chiraq for Amazon Studios. We also hear he's courting Samuel L. Jackson, Jeremy Piven, Common and Kanye West for the ensemble cast. If the rumors are true, this will be great but for now, let's wait on it. For more on this story, click here. 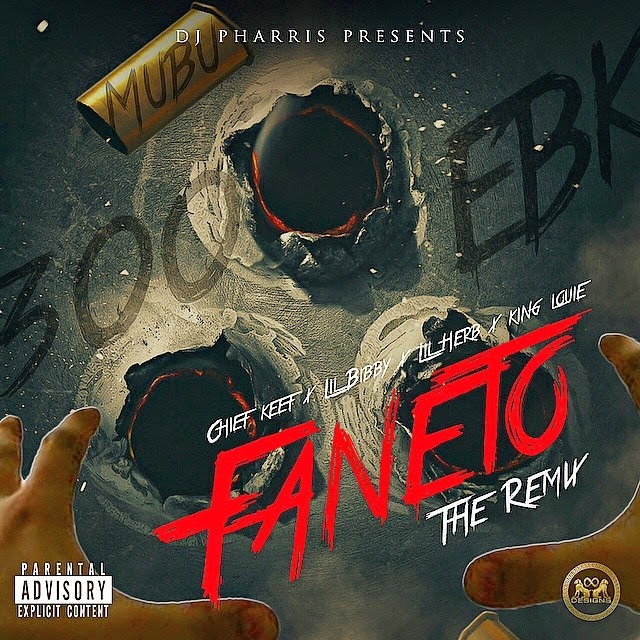 [New Music] Katie Got Bandz "Faneto (Remix)"
Over the last few weeks, we've heard a lot of Chicago rappers, including R&B singer John Blu, share their rendition of Chief Keef's street anthem called "Faneto." Now, Katie Got Bandz taps into the fan favorite track and puts a ladies touch to it. Take a listen below and don't forget your comments. While the ladies impatiently wait for his project Late Nights: The Album to drop, R&B singer Jeremih switches it up and takes a spin at the EDM crowd with his brand new single "Tonight Belongs To U!" It features Flo Rida and its the second single from Jeremih's upcoming album. Take a listen below. Making her first debut on The Breakfast Club, Tink stopped by Power 105 to talk with Angela, Envy, and Charlamange. During her studio visit, the Chicago rapper spoke on her music, relationship with Timbaland, Lauryn Hill comparisons and more. Tink also bust a freestyle before leaving the building. Watch full interview after the jump. 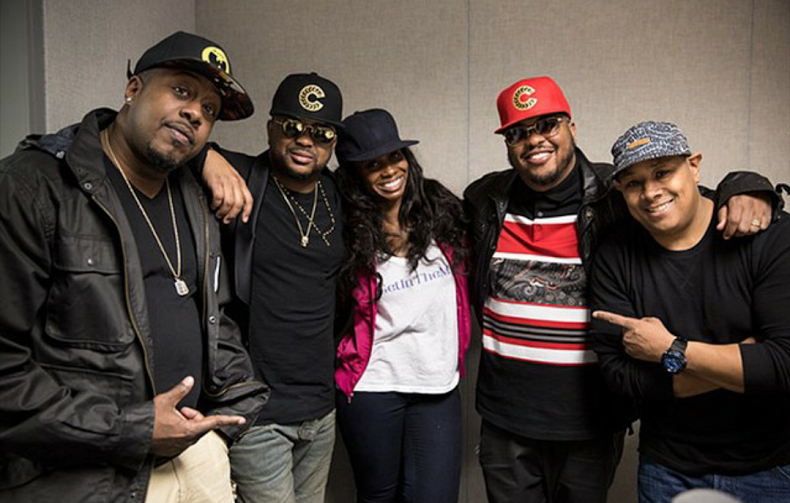 Promoting his upcoming project Crown, hit producer/singer The Dream stopped by WGCI to talk with Kyle, Kendra, and Leon in the morning. Joined by Tricky Stewart in the studio, Dream spoke on his success as a hit making producer and balancing his own artistic ambitions. He was also asked about how do he spend the holidays with his kids along with his celebrity exes, Nivea and Christina Milian. [New Music] Butta Da Great "Trilly"
Continuing to feed the streets until he drops his mixtape Mr. All I Want Is Money, Butta Da Great delivers a new track to hold you over while you wait. Its called "Trilly" and its ready for your ears below. 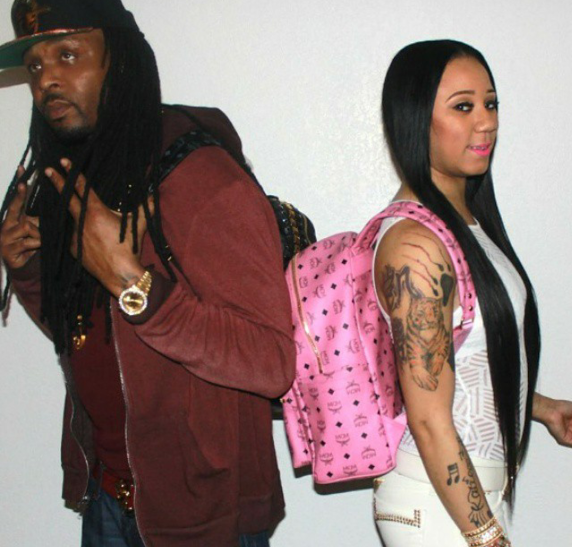 Take a listen to Butta's new track and don't forget to leave your thoughts and comments. Calling on a Chi-town all-star lineup, Chief Keef delivers the official remix to his self produced track, "Faneto." The 10-minute banger features King Louie, Lil Bibby, and Lil Herb and its co-produced by Da Internz. Take a listen to the track below and don't forget to leave your thoughts and comments.